NexGard Flea & Tick Chewables is a brand new, revolutionary flea and tick preventative from the makers of Frontline®, the #1 choice of veterinarians. It's the first flea and tick killer of its kind because it comes in a yummy, beef-flavored soft chew that protects your dog from flea and tick infestations for a full 30 days. That means you no longer have to worry about messy topicals or accidentally to wash off your dog's preventive while bathing! It can also be taken alongside your dog's heartworm medication without interruption for your convenience. NexGard keeps your pet protected from adult fleas by killing them before they have a chance to lay eggs, which reduces the possibility of a flea infestation. It also kills the American dog tick, which decreases the risk of your pet developing a deadly tick-borne disease. How it Works: NexGard contains a brand new ingredient not used in any other flea and tick protection. Afoxolaner, the ingredient in NexGard, is rapidly absorbed into your pet's bloodstream where a good concentration makes your pet's blood toxic to insects without affecting your pet's health. The Afoxolaner is metabolized gradually to ensure that it remains in your pet's bloodstream in the appropriate concentration for a full 30 days. When a flea or tick attempts to feast on your pet's blood, Afoxolaner acts on their Central Nervous System by impeding an important neurotransmitter, which causes instantaneous death. This means your pet receives amazing protection in one tasty morsel! NexGard is a prescription-only medication, so talk to your veterinarian about using it for your pet. Cautions: NexGard is for use in dogs only. The most frequently reported adverse reactions to include vomiting, dry/flaky skin, diarrhea, lethargy, and lack of appetite. The safe use of NexGard in pregnant, breeding or lactating dogs has not been evaluated. Use with caution in dogs with a history of seizures. View Nexgard Drug Facts Sheet. 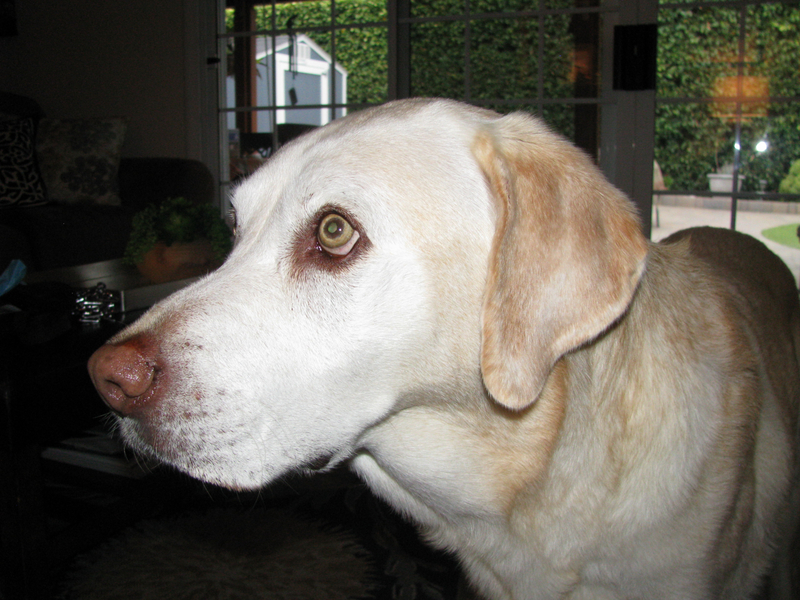 Flea Treatment and Prevention: Treatment with NexGard may begin at any time of the year. In areas where fleas are common year-round, monthly treatment with NexGard should continue the entire year without interruption. To minimize the likelihood of flea re-infestation, it is important to treat all animals within a household with an approved flea control product. Tick Treatment and Control: Treatment with NexGard may begin at any time of the year (see Effectiveness). Contraindications: There are no known contraindications for the use of NexGard. Warnings: Not for use in humans. Keep this and all drugs out of the reach of children. In case of accidental ingestion, contact a physician immediately. What this product is used for: NexGard kills adult fleas and is indicated for the treatment and prevention of flea infestations (Ctenocephalides felis), and the treatment and control of American Dog tick (Dermacentor variabilis) infestations in dogs and puppies 8 weeks of age and older, weighing 4 pounds of body weight or greater, for a full 30 days. Possible side effects of NexGard: The most frequently reported adverse reaction was vomiting. The occurrence of vomiting was generally self-limiting and of short duration and tended to decrease with subsequent doses. There are no known contraindications for the use of NexGard. Excellent price and excellent service! Best price and quick service. Received what I ordered in a timely manner. Willing to help with obtaining the prescription. NexGuard protects our dog with protection against both fleas and ticks. And, it doesnâ€™t hurt hurt his stomach as has been the case with a previous flea medication. Thsnk you to the pharmacy team for providing quick and efficient service. Great treatment and protection year round by taking one great tasting pill monthly. Will be ordering again if the issue arises! AMAZING. Cannot use another word to describe! The day after I gave my dog this med, there was no itching. He was able to relax, without flea worry! 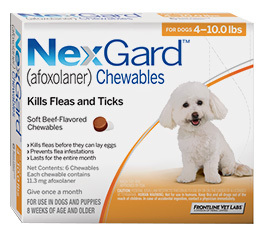 Merchant Response:Hi Taylor, The Nexard chewables are perfect for killing and repelling fleas. Be sure to let us know if you need to order 3 or 6 month doses. Saved time and money by using your website. Fast and easy, the savings are significant. ProsSavings. Convenient. Carry a full selection of brands and products. This is the only flea medicine that works for my dog. I never see a flea on my dog Max. I will continue to use this to keep him flea free. ProsHe enjoys taking this as if it were a treat. I actually bought NexGard through HeartlandVetSupply.com and my order was referred to Entirely Pets Pharmacy. I never had a problem doing this and received my order in a timely manner after I mailed my prescription to them. I found the pricing to be excellent especially if you use the discount for purchasing it online. I have no hesitation in purchasing NexGard this way. Merchant Response:Fantastic! NexGard is a great product. Cheers! So much prefer this to yucky topicals for my dogs. Plus they love them! Ordering through Entirely pets pharmacy was not only quick and easy, but saved me quite a bit of money. Prices are much lower than buying through my Vet. Sweet Pea chews it right up! Guess she thinks it a 'treat'! Good price for vet recommended product for ticks. My little guy was getting ticks everyday. It seems like the product works. He seems a little subdued for a day or two after taking it. ProsNothing to apply, he is happy to eat it up. Good product and product arrived after several weeks. I guess i wasn't aware that they would need to call/fax the vet in order to get a prescription. I thought I could just order the product and get it within a few days. Start early is my advice. Merchant Response:We have since perfected our methods and prescriptions are getting approvals inside 3 days. We will continue to make improvements to get NexGard delivered as soon as possible! The Rx is fine but will never purchase from EntirelyPets Pharmacy again due to their extremely poor customer service. I have two dogs so I have to order one 3-pack and 1-1 pack. They arrive together and are easy to order once your vet has sent the prescription. ProsIt so easy to order and if you call the people are very helpful. ConsI don't know any cons! This was our first attempt to buy pet meds via the internet ... loved it! Entirely Pets was so helpful and great through the process, can't thank you enough and I will recommend you all to everyone. Merchant Response:Thank you for the great feedback Scott. We're glad we were able to get you your NexGard, don't hesitate to let us know when you're ready for a refill! To be please or not to be pleased...that is the question. Pleased that they stock the item and shipment quick. Not so pleased because I don't understand why a little tiny chew costs so much. Overall tho...pleased. Merchant Response:Hello, thank you for your feedback. We're sorry the NexGard is a little pricey, although we do strive to offer the best prices! ConsPricey for a small pill. 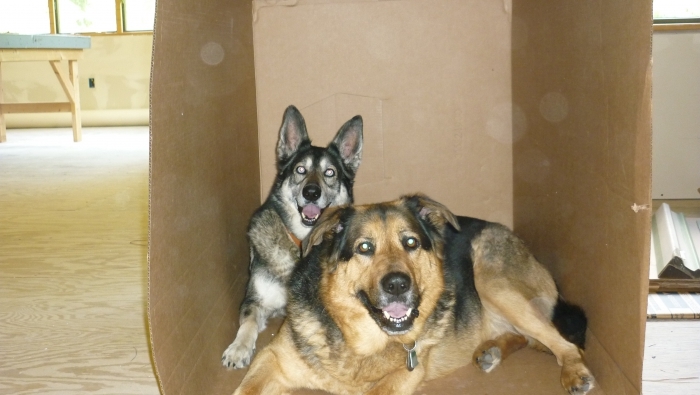 My two German Shepherds have never had fleas in Ten years..Great product. This product Is so much easier to deal with than Frintline, my heretofore preferred flea treatment. The dogs eat it with relish. It vanishes. No more wet doggie necks that I would inevitably pet before the topical product dried and get some nasty stuff on my hands......what I mostly disliked about Frontline. So flea treatment has evolved from collars to topical to edibles. I say hooray! Merchant Response:Hi Bonnie, so good to hear the NexGard is working so well for you and your dogs and they're eating it with no problem. Hooray for not getting any nasty stuff on your hands! Merchant Response:Thanks for the feedback Mac, glad to hear it's working well for you GSD! Used to use Frontline in past, but with a pug, that has a layered coat, it never really worked for her. With Nexguard, first dose and fleas were gone! Merchant Response:Thank you for your feedback Jennifer and we're glad to hear the NexGard is working well for your pug! ProsEasy to give, just a dog treat, so they have no clue they're taking flea medicine. First time using this product. Seems to be working. I do see an occasional flea, but she was infested before and my other dog is not on NexGard yet. I will continue to use this product, her flea collar doesn't seem to work anymore. The first night she was a little lethargic, but snapped out of it in a few hours. I will continue to use this product and keep a close eye on her the first several hours. I have always had a good experience with Entirely Pets! We've used NexGard for two years now for our small dogs and have not had any issues. Works well and keeps fleas away. It's a pleasure doing business with y'all. No hassle at all (which I've definitely endured getting Rx pet items online in the past). It's not perfect, but Nexgard is the most effective anti-flea med we've used on Alice. Pretty pricey, though. Would love to earn no-expiration-date discounts for purchases over a certain dollar amount. Appreciate the free shipping. ConsWould love to earn no-expiration-date discounts for purchases over a certain dollar amount.